MidAmerica Nazarene University is one of eight regional colleges of the Church of the Nazarene in the U.S. 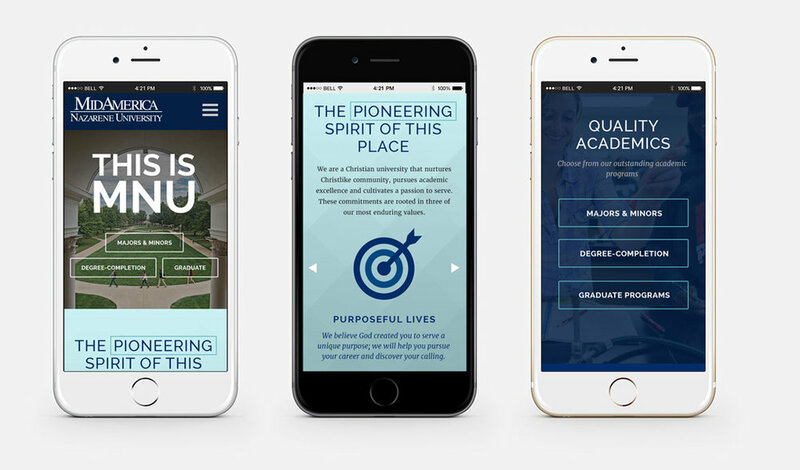 The University's marketing team had built a solid brand platform and website internally, but faced the demands of producing a new enrollment marketing campaign in a short amount of time. MNU chose 5° as its partner to develop a series of printed materials for Admissions to help tell the University's unique, pioneering story. Once 5° completed the core pieces, the University was able to use the visual platform and create secondary pieces as needed. To date, the campaign has had a great response, both internally and externally, in helping communicate the assets and identity of MNU.